Publisher's note: I have initiated this new segment on BCN, where I determine the Best Music Ever. I do this from my opinion, for what that is worth, where I will measure the best music that I am familiar with. I do this for two reasons: 1) I want to expose the best music that I know to the rest of us. 2) Popular Music today may be the very worst it has ever been, and that is saying much, since I lived through Disco. For a list of the contributions to this series, please click here. 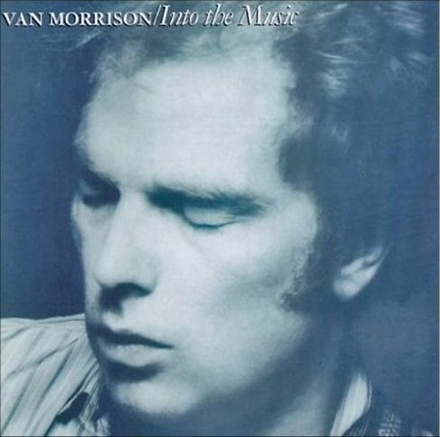 Van Morrison's rendition of "It's All in the Game" may be the Pop melody turned Soul classic that few really know of, but that I have well appreciated for decades. Now, I bring it to you. Van Morrison covered this Tommy Edwards's Pop classic, "It's All in the Game", on his classic album, Into the Music, released in 1979. I had been a Van Morrison fan since his classic - this must be played at my wedding - "Brown Eyed Girl"; this catalog of fine tunes was just a classic continuation of the music that I had grown quite fond of and accustomed to from "Van the Man". Van Morrison is not only a distinctive talent giving voice to his Rhythm and Blues infused Celtic Cacophony of melodic musical perfection, he is a rare composer of his own unique classics, some of which will be featured in this series on BCN: So, why would I be drawn to his rendition of this 1958 hit song sung by an obscure Tommy Edwards, covered far differently, far more soulfully than the original? Once you hear all versions below, you should understand; however, what might be equally as remarkable is the history of the creative evolution of "All in the Game". Tommy Edwards's 1958 hit's lyrics were written in 1951 by Carl Sigman, who used melodic bones of the 1911 composition, "Melody in A Major", composed by Charles Dawes, a Republican, who later became President Calvin Coolidge's Vice President. I bet you did not know that. Another specific ingredient to this lyrical piece of art, which you might not know, is that the second part of this century old melody is Van Morrison's scribed infusion of the lyrics from "You Know What They are Writing About", employing parts of Charles Dawes's melody, "Melody in A Major", which runs about 6 minutes and 40 seconds on both live versions of this classic shown below. Also, the lyrics to both of the aforementioned songs are shown below theses two Van Morrison live videos. From this marvelous melodic genesis, a classic song was born, which I have long enjoyed, and now bring to you. The first rendition of this Van Morrison Collaborative Classic was recorded in 1979 at a live show in Passaic, New Jersey at the Capitol Theatre: Below. I offer the second rendition of this Van Morrison Collaborative Classic for the simple truth that Van Morrison rarely performs any song similar to another time, there is no standard to this standard. This rendition was recorded live on German TV in 1984: Below. The Album version of these two infused songs is about 11 minutes in length, so think of it as a nice long dance with your best gal: Below.